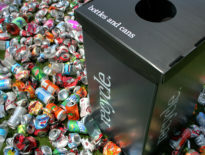 Alachua County’s 37-acre industrial park for recycling companies, or Resource Recovery Park (RRP), is about to open after five years of research, planning, and design. Five years ago, ILSR was called into Alachua County, Fla. by a nascent, woman-led group to help stop a planned garbage incinerator. The citizens won a critical election in which a former homemaker (who had been publicly insulted) got the most votes of any other County Commissioner in the history of the County. 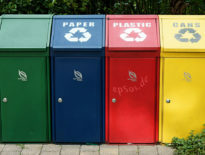 After she and colleagues took control of decision-making, they hired ILSR to plan an industrial park just for recycling and composting companies. Started in 2013, it is now coming to fruition. University of Florida architecture graduate students prepared documents for the County. The project points to the theory and practice of local self-reliance: citizens and government attracting private firms to create jobs from local materials. 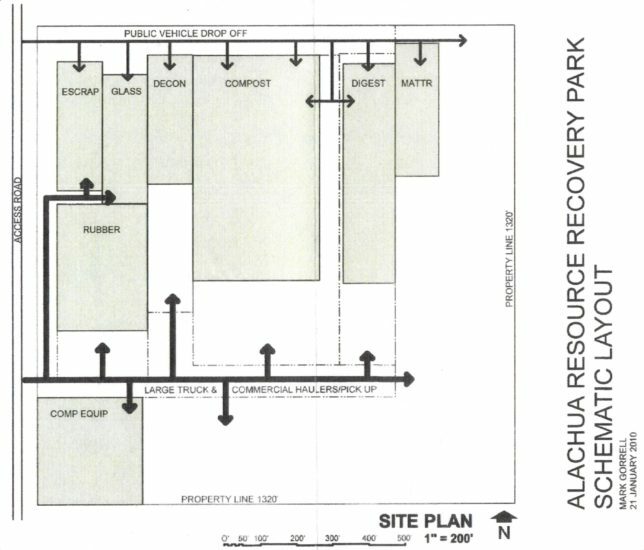 To learn more about recycling in Alachua County, please see ILSR’s 2018 presentation to Alachua County Commissioners on Resource Recovery Park and 2010 interview on the future potential of recycling and economic development in Alachua County. For further information on the RRP, contact Sean McClendon, Department of Planning, Alachua County, Fla. at smclendon@alachuacounty.us.